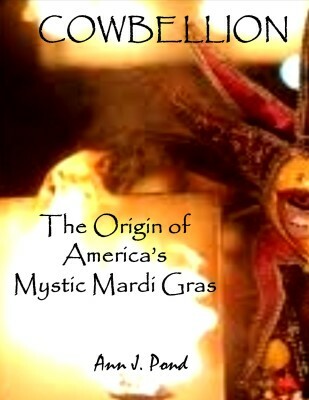 Ann Pond’s new trilogy of books answers the questions: Where, when and how did Mardi Gras really begin in the United States? throughout the nineteenth century, with all the social, political and economic problems of that time period. “‘Cowbellion,’ tells the story of the Krafft and Vincent families and particularly Michael Krafft, who created the first mystic parading association, the Cowbellion de Rakin Society. ‘Masons and Mardi Gras,’ details how Mobile’s parading tradition spread to New Orleans and explains all the mysterious names and symbols. ‘CAIN’ is the story of Joe Cain’s real life, which is very different from all the stories we’ve read up until now,” says Pond. For the last few decades, Mobilian Ann Pond has taught history at Bishop State, Spring Hill College and the University of South Alabama in addition to her work as a freelance journalist. Now she’s managed to combine all of those pursuits into one project with the potential to impact local legends. As part of her doctorate work at the University of Southern Mississippi, Pond decided to focus on a distinctly Creole phenomenon in the United States: Mardi Gras. Her dissertation aimed to untangle the knot of folklore around the holiday’s American origins and she has now turned all that research into a trilogy of books. Her initial offering, “The First Cowbellion: Masons, Mummers and the Birth of America’s Mardi Gras,” couldn’t be more self-explanatory. It traces a consummate story of American creation, blending pre-existing cultural elements to fashion something new. Pond begins the story with the first French incursions into the New World but then widens scope. With an academician’s sense for truth, she thoroughly covers the holiday’s background, its customs centuries beforehand. The first of Ann Pond’s three books inspired by Mardi Gras begins with the first French incursions into the New World but also paints a picture of Mobile in the 1830s. However, it’s her ability as a writer to speak in relatable language that will endear the book to average Gulf Coast residents. Likewise, the picture she paints of Mobile in the 1830s — on the cusp between its frontier roots and the feudal South soon to emerge — is crucial to grasping context. Pennsylvanian Michael Krafft and his family relocated to Mobile as it was at the beginning of the Cotton Boom. It wasn’t long before Michael reshaped Mobile’s social calendar, with New Year’s celebrations spawned in part by similar happenings in Pennsylvania and elaborated further through input from others. 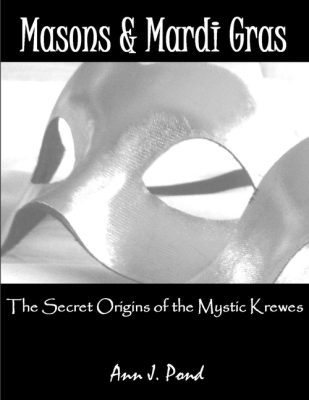 Following “The First Cowbellion” is a volume entitled “Masons and Mardi Gras.” It explores how secret societies formed for Mobile New Year’s events shifted time, place and form to something we would more clearly recognize now. New Orleans’ licentious Carnival party resulted in their banning masking in 1803. However it was the violent and rambunctious happenings of free-for-all parades in the 1840s and ‘50s that led local press to call for the events’ outlaw altogether. Once again, customs merged as Mobile’s habits and patterns for New Year’s were applied to New Orleans pre-Lenten celebrations. What emerged was a more modern version of what we know as Mardi Gras processions. Pond goes further, though, with an examination of possible secret purposes to the fraternal societies. She looks at the private and public lives of the men behind the masks and rumors of how it was tied to the Civil War’s beginning. 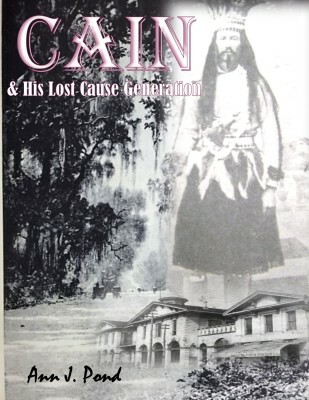 The last of the trilogy is “Cain and His Lost Cause Generation.” Pond looks at the modern connotation of Joe Cain for Mobilians and holds it up against the truth of his times. The first book is currently available. The second goes on sale June 1 and the third will be available July 1. All are available on Google, Amazon or ann-j-pond.squarespace.com. Kindle and electronic versions may also be purchased. It’s obvious Pond has put years of research and scholarship into this. Anyone who loves regional and national history would be well served by her efforts. The greater part of Pond’s contributions to Gulf Coast history is that she makes a wonderful effort to not shine a light on the truth for its own sake but to fill in the divides many strive to entrench between Mobile and New Orleans on the subject of Mardi Gras. Such pedantry is not just unbecoming but self-defeating, as it robs us of our hallmark strength as Americans. Author and historian Ann Pond’s second book in her trilogy on Gulf Coast Mardi Gras landed in the Artifice email recently. Its relatively short length relative to the first work — roughly 66 pages apart from footnotes — made it a quick read, but that’s no indictment of its story. If anything, Pond has revealed a history far more baroque than the shortened version so widely disseminated in these parts. Interwoven with so much of the cultural landscape and our nation’s knack for reinvention, she has given us a tale quintessentially American. The first book established the Gulf Coast backdrop in the colonial and early American era, along with the emerging prosperity of Mobile and the birth of the city’s New Year’s Eve celebrations at the hands of Michael Krafft and friends. It also showed New Orleans’ own Fat Tuesday masking tradition documented as far back as 1730. This work, “Masons and Mardi Gras,” briefly touches on those times then ventures headlong into titular matters. Pond maintains such fraternal organizations imbued the Cowbellion de Rakins and subsequent groups with uniquely mysterious elements. According to the author, “Masons and Mardi Gras” examines the private and public lives of the men behind the masks, the reason for all the secrecy, and the rumors that link Mardi Gras in New Orleans to the start of the Civil War. Her extensive footnoting and documentation give this history heft uncommon to urban mythology and folklore. The arrival of the third book and the tale of Fat Tuesday’s renaissance is eagerly anticipated on this end. Kevin Lee, “Second Book in Mardi Gras Trilogy Peels Back the Masks,” Lagniappe, July, 2015. A favorite quote likens journalists’ social status to that of prostitutes and bartenders, but their philosophical standing as “beside Galileo because they know the world is round.” Those attributes aren’t independent but intertwined. Outside the power structure, you have nothing to lose by speaking truth. Yet to do so is a path to alienation and marginalization. The same could be said of a good historian. Part detective, part epistemologist and philosopher, their dogged adherence to uncovering truth often puts them at odds with the status quo. Artist and writer Julian Rayford is well known as the man who gave us the modern Joe Cain Day and wrote the first book-length historical account of Mobile Mardi Gras, “Chasin’ the Devil ‘Round a Stump.” It canonized contemporary beliefs. But where did Rayford gather his information? It seems to have come from Francois “Frank” Diard, an early 20th century Mobilian committed to elevating the status of his hometown without adherence to a historian’s ethics. Diard amassed a so-called “family history,” an abundance of information and “records” about colonial Mobile and its residents as spurious as his claims of relationship to the Brothers Le Moyne, d’Iberville and Bienville. Pond said no proof of such lineage exists. The problem with Diard’s research is his dedication to making his findings fit his end goal of giving Mobile as many credited “firsts” as possible. Among those claims are that Mobile and his family had the first azalea, the first garden, the first gumbo and the first Mardi Gras on the Gulf Coast. Through his 38-year occupation with the Mobile Register and lifelong association with its editor Erwin Craighead, Diard’s claims were never subjected to due scrutiny. Plus, there is the human tendency to believe what is most flattering. Pond’s book goes on to discuss the Mobile of Cain’s youth, a town on the crest of the Cotton Boom wave. The social picture she paints is that of a frontier town on the rise, reinventing itself and hewing away the rougher parts of its culture. Also included is an in-depth telling of the story of the Boyington Oak and the tragedy that led to its eerie legend. Fittingly, the oak stands not far from Cain’s current resting spot. There’s no way to tell this story without ample focus on New Orleans, and Pond doesn’t disappoint in that regard. Her descriptions of the Crescent City culture and Mardi Gras customs are just as vivid and detailed as those of Mobile, detailing the similarities and differences. Unsurprisingly, the nascent civic rivalry between both cities is obvious and manifested in the tourism marketing undertaken in the antebellum period. Let’s just say the “family Mardi Gras” angle was well underway long before Mobile even observed Carnival. If “the truth will set you free,” then these three volumes are pure liberation. Kevin Lee, “Mardi Gras mystery solved in Cain book,” Lagniappe, November, 2015.